In our Where to Happy Hour series, we search Houston’s vast array of neighborhoods for the very best libations. Originally imagined as a planned community and streetcar hub, this largely residential neighborhood has morphed into the heart of Houston. Today, Montrose‘s eccentricity shines through a mosaic of century-old bungalows and sky-scraping townhomes, offbeat bars and music dives, awe-inspiring art galleries and theaters, funky shops and local businesses, and a bevy of excellent spots to eat and drink. As one of the city’s premiere dining destinations, it’s no surprise the happy hour options are plentiful. Note: For the purposes of this list, Montrose is defined by this map. Anvil Bar & Refuge – This sleek and handsome bar is pretty much the o.g. 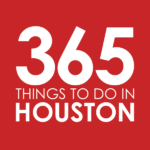 of Houston’s craft cocktail scene; and during weekday happy hour, it offers half-off its entire list of 100 favorite cocktails. It’s the perfect time to make your way through iconic classics like the Bee’s Knees, Sidecar, Vieux Carre, and Queens Park Swizzle. Bonus: the game-changer also rocks a Break-Even Bottle program, selecting rare high-end bottles and offering sips at cost. Monday through Friday 4pm to 5pm. Click here for directions. Boheme – With a charming patio and those addicting thin-crust pies, Boheme offers the perfect way to relax and unwind; Especially during happy hour, when you can dig into $5 bites like balsamic pulled pork sliders and prosciutto and truffle oil crostini (weekdays only) alongside select $5 wines by the glass, $8 cocktails, and $4 beers. All day Sunday and Monday; Tuesday through Friday 4pm to 8pm. Click here for directions. Cane Rosso – The Montrose outpost of this fan-favorite pizza joint rocks a stylish and shaded, pup-friendly patio. Bring a crew to enjoy $5 to $7 Neapolitan-style pies, from the classic margherita and marinara to the soppressata-topped Ella and the sausage-adorned Ella; plus $5 bites like hot wings, fried artichokes, and fire-roasted cauliflower. Alongside, sip $3 Peronis and a selection of $5 wines and cocktails, including boozy drinks like the Aperol Spritz, Frozen Limoncello, and Moscow Mule. Monday through Friday 5pm to 7pm. Click here for directions. The Hay Merchant – This cool kid’s craft beer pub has a cult following for a reason, it rocks what is easily one of the choicest beer libraries in the city, with 80 taps and a stellar bottle list (recently, the bar even added on-tap, stirred and frozen cocktails). At happy hour, select from 30 beers for $3 each and get some sweet-and-spicy crispy pig ears and pb&j chicken wings to enjoy alongside. Don’t miss weekly specials like T.V. Dinner Mondays, Steak Night Tuesdays, and Fried Chicken Sundays. Daily 3pm to 6:30pm. Click here for directions. Uchi – The daily Sake Social at this elite sushi and Japanese eatery means you can dine at one of the city’s best restaurants on a dime. Get $3 to $8 bites—think wagyu and avo maki, machi cure, and togarashi-kissed fried yucca—next to $3 to $6 sake, $3 Sapporos, and $7 by-the-glass and $27 by-the-bottle wines. Daily 5pm to 6:30pm. Click here for directions. Other great choices – Get cheap drinks and perfect dive bar vibes at classic haunts Lola’s Depot, Griff’s, Catbird’s, Poison Girl and Boondocks; hit Underbelly’s Wine Bar to indulge in chef cover dishes like Cochon Butcher’s “Le Pig Mac” and Fuku Chicken Tenders; celebrate the end of the work day by diving into crisp white wine and ceviche pairings at Hugo’s; unwind at The Pass & Provisions’ bar or patio to get daily happy hour bites and sips; slurp half-off oysters alongside $5 reds, whites or beer and shot specials at Nobie’s; go for the progressive happy hour punches at throwback cocktail bar Stone’s Throw; chill out with cold brews and cheap tacos from the powerhouse coupling of West Alabama Ice House and Tacos Tierra Caliente; check out the value-driven list of wine, beer and sake during weekday happy hour at Roost; get happy hour pizza and booze pairings and play arcade games at Love Buzz; munch on tempura cauliflower and happy hour-priced beers, cocktails wines by the glass at Riel; get boozy and cheap patio margs at La Grange, El Tiempo and Pistolero’s; enjoy extended happy hour at laidback sports and gastropubs Revelry on Richmond and Doc’s Motorworks; and smash chicken wings, cheese plates, and happy hour wines at Max’s Wine Dive.